What's the most normal thing that comes to mind when you think of Valentine's ? Chocolates right? That's what we were thinking of too....your customers will love to sell it for Valentine's because they are sooooo cute! We will be using shea butter soap base for extra moisturising power, so your skin doesnt get dry while in the shower. 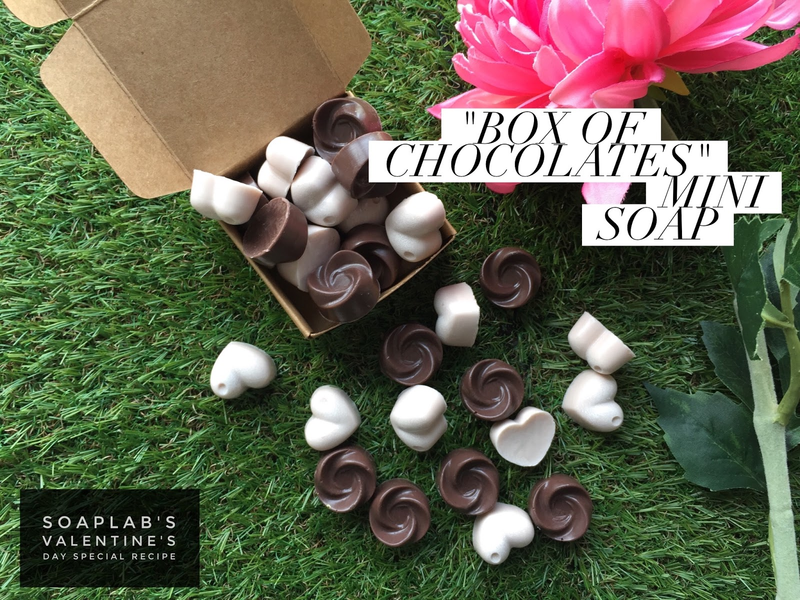 Next to make this soap look and smell fit for Valentine's we use Dark Chocolate and Vanilla Musk fragrance oils, and once that box of soap is opened.... chocolate is all you will think about. To get the right shade of chocolate we use brown iron oxide and for the white chocolate, we go with titanium dioxide. This gives you a creamy shade of white that looks like it'll melt upon eating. OMG THIS IS SO CANTIK!